After receiving a message from my daughter in Laos complaining that she is cold even though the temperature is 24 degrees. I decided that this might be a fine topic to blog about. To begin, a few words from a Shakespeare sonnet. #EdwinDouglas (1848-1914) was a painter of animals and most particularly dogs, for which he was and is widely known and admired. Edwin Douglas also found that Jersey cattle were particularly paintable. He admired their graceful heads, their well-marked bodies and found them small enough to group easily and gracefully onto his canvases. His Jersey cattle pictures eventually became rather popular, especially in the United States. 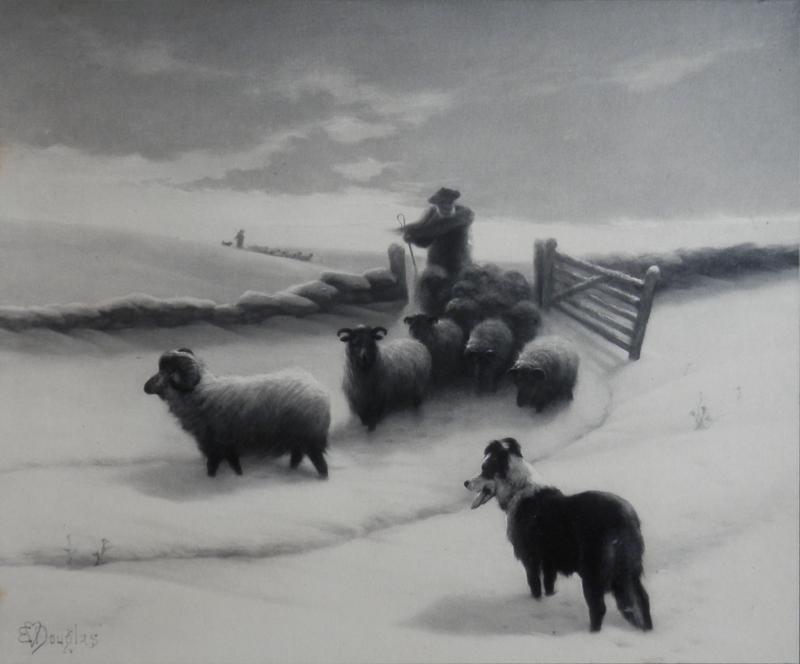 ‘#Blow,BlowThouWintryWind’ is the title of this print and the original oil painting by Douglas. Finely etched and printed – one can feel the wind as it blows across the land. The shepherds scarf and the sheep’s woolly coat blow in the wind as they trek through the freshly fallen snow. Edwin Douglas was born in Edinburgh and studied there also. He painted Scottish scenes even after moving south, as with so many of his compatriots, to London in search of patronage and commissions after having exhibited at the Royal Academy in 1869. One experiences the open countryside which o’er blows the cold, life steeling wind. If you do not belong here you will not live. Even the hearty struggle. Enjoy the warmth for winter comes and cold blows the winter wind from the north. This entry was posted in Lithographs and tagged crow, gate moor, highland, horses, ice, mane, river, sheep, shepherd, snow drifts, stone fence, wind. Bookmark the permalink. 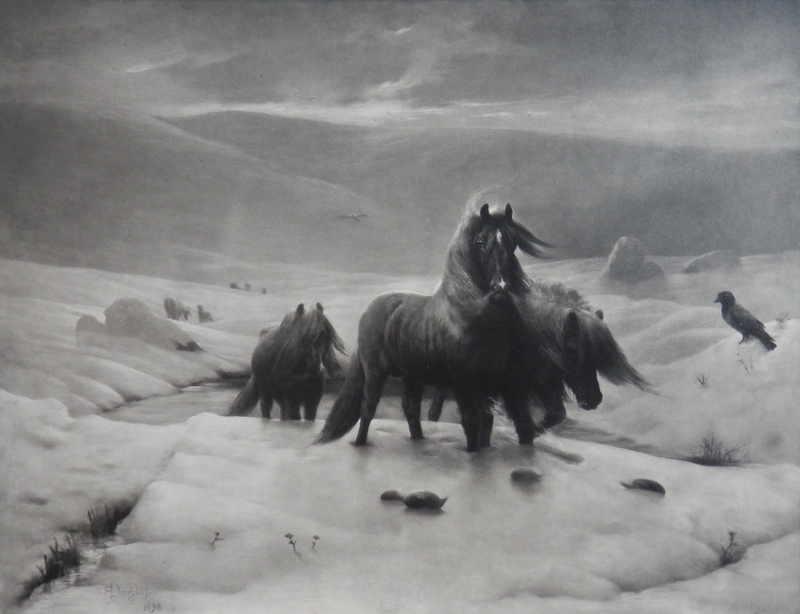 How much would this painting of the horses cost.